An interesting little bird is the cuckoo bird. With its beady eyes, small beak and nondescript plumage, it looks as harmless as its wooden counterpart that chirps every hour from its namesake clock. Don’t let that fool you, though. Behind that innocent look lurks one of nature’s sneakiest and deadliest of opportunists. The male cuckoo bird is the ultimate deadbeat father. After he fulfills his reproductive duties, he leaves the rearing of the young to the female. The female is not the nurturing type either. Its idea of mothering is to find another bird to take care of its young. It does this by lying in wait for unattended nests. It picks a victim with eggs similar in appearance to hers, usually a wren or a warbler.When it spots one, it drops its egg into the chosen nest. A cuckoo’s egg has a thick, reinforced shell designed to survive such a drop. 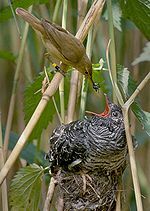 The mother cuckoo then gets rid of one of the eggs in the nest so the unwitting host will find the same number of eggs as when she left. That is the extent of the mother cuckoo’s maternal effort. After this, she flies away and is never heard from again. Can you spot the cuckoo's egg from the rest? When the host mother bird returns to her nest, she does not notice the switch. Little does she suspect how her family’s life will change because of this one rogue egg. Nature designed the cuckoo egg to compensate for its mother’s lack of maternal skills not only by making it more resistant to breakage, but also by speeding up its timeline. Thus, it usually hatches earlier than its adoptive siblings, giving it a distinct advantage over the rest. It uses its bigger size to bully the others and steal most of the food. Every chance it gets, it pushes the other hatchlings out of the nest, until finally, it is the only one left. At this point, it has already grown twice as big as its adoptive mom. You would think that seeing this oversized chick would make the mother bird realize its mistake. Alas, nature is not on her side. She has been wired to respond to certain cues and disregard the obvious ones. An open beak and a plaintive cry are sign stimuli that triggers her maternal instinct, and she is powerless to resist it. Knowing this, the cuckoo chick uses it to its own advantage. It constantly cries for food, driving its foster mom to near exhaustion by its seemingly insatiable appetite. In one of life’s cruel jokes, not only is this luckless mother tricked into caring for another, she is unknowingly nurturing the one responsible for her own offsprings’ untimely demise. She is relieved of her ghastly duties only when the cuckoo is mature enough to finally fend for itself. After which, the cuckoo finds a mate, reproduces, and starts the whole cycle again. Now the above is not some trumped-up story designed to malign the cuckoo bird. It is in fact an observed phenomenon among certain species. It even has a name: brood parasitism. Unfortunately, it is not confined to the animal kingdom alone. The cuckoo has its own counterpart in our society. The absentee sperm donor, the irresponsible egg producer, the phony individual masquerading as a friend, and the usurper who worms his way into the family’s good graces are some of the manifestations of the cuckoo in human form. Perhaps we can learn a lesson from all this. Knowing that parasites do abound in this world of ours should make us more vigilant, lest we end up like the hatchlings that get robbed of their life and inheritance, or the mom tricked into feeding a greedy monster that is not even her own. 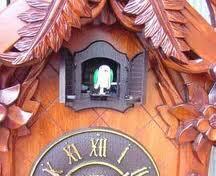 After all, it would be simply cuckoo to allow ourselves to be fooled by a simple cuckoo. Em, do you know if all female cuckoos do it this way? That’s very interesting. I don’t know about you, but it reads like a science fiction-horror story to me. The good thing is, some bird hosts are finally fighting back. They have evolved so that their eggs have complex markings that make it harder for the cuckoos to copy. 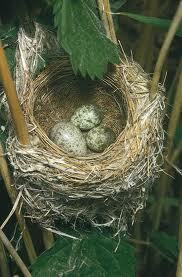 They are more observant of their eggs when they come back to the nest. They have even resorted to abandoning nests if they suspect foul (or fowl) play. Some have even banded together to fight off cuckoos when they see them around the premises. This is how mother nature assures the survival not just of the fittest, but the one who can outsmart the rest. we do get our own share of living and meeting individuals with such manifestations Em…the thing is when do you draw the line….labi na ug family member ra gyud…such a good article.. This is evolution at its finest. Different species of animals constantly evolve their behavior to ensure continuation of their bloodline. You should be on those game shows where you could win a lot of mulah!!!! I agree. Animals do what they can in the survival of the fittest, and man is not far behind.